1801220_437050549763223_1870661651_o, a photo by aviva_hadas (Amy) on Flickr. I'm so proud of my floater. Just a couple more things to put together then he can graduate from the minnows into a group that is actually learning to swim. He has to jump in (not any easy feat for him.) flip onto his back & float to be able to move up. 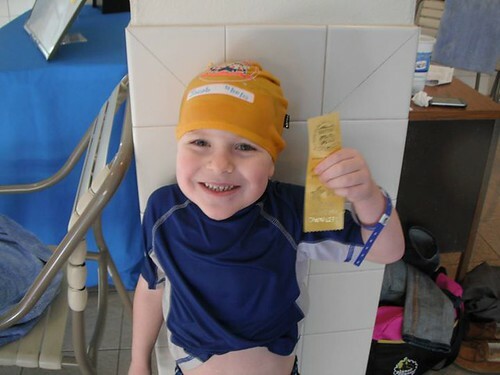 As the mother of two early swimmers, I share your pride. Way to go Jacob!